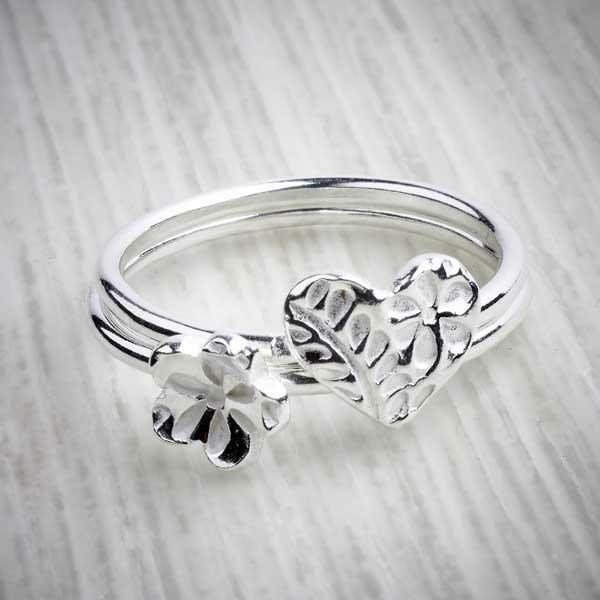 All of our jewellery collections are inspired by certain flowers and greenery that surround of studio in the beautiful Welsh countryside. This means that you can create a truly special gift by combining this ring with a bracelet or necklace from another collection. 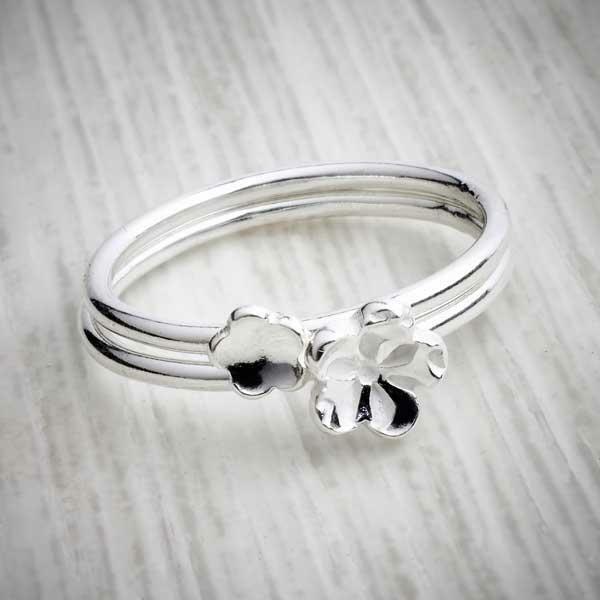 Or why not buy one of our contemporary bobble stacking rings? 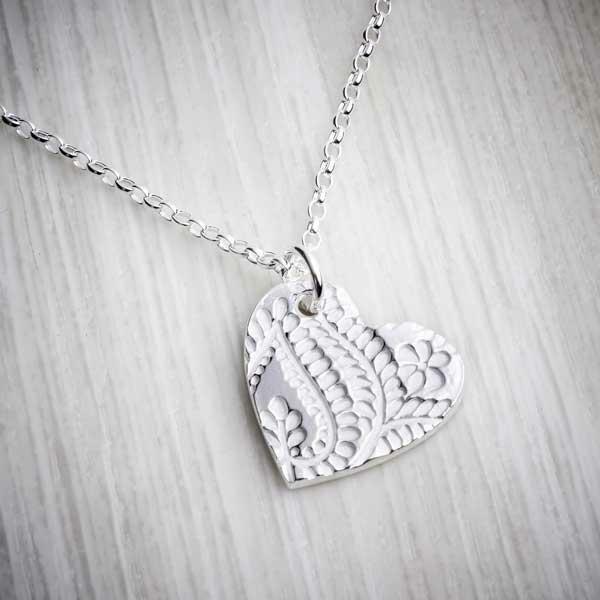 The techniques we use for making our jewellery allow us to create beautiful, detailed pieces in an environmentally-friendly way. Each ring is shaped, sanded and then fired in a kiln, similar to the process of making pottery. 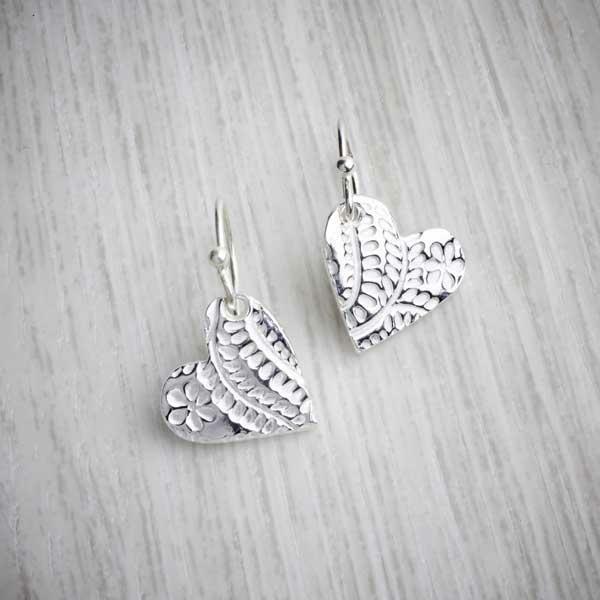 This gives you guilt-free jewellery without compromising on style! 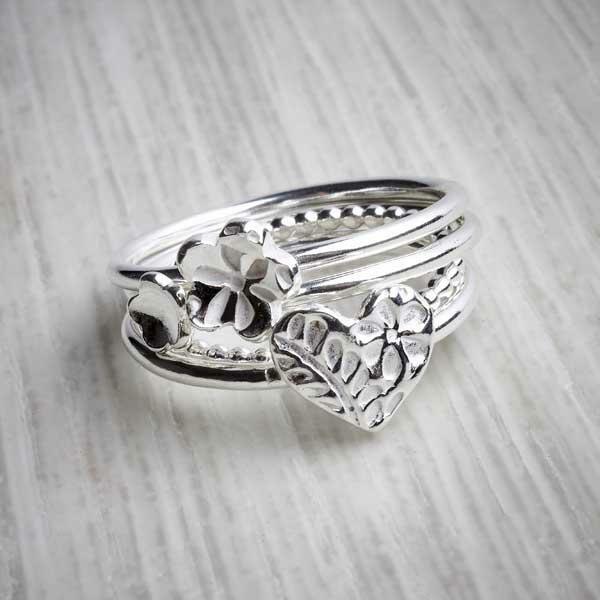 Beautiful worn alone or stacked with our other ring designs, make it your own. 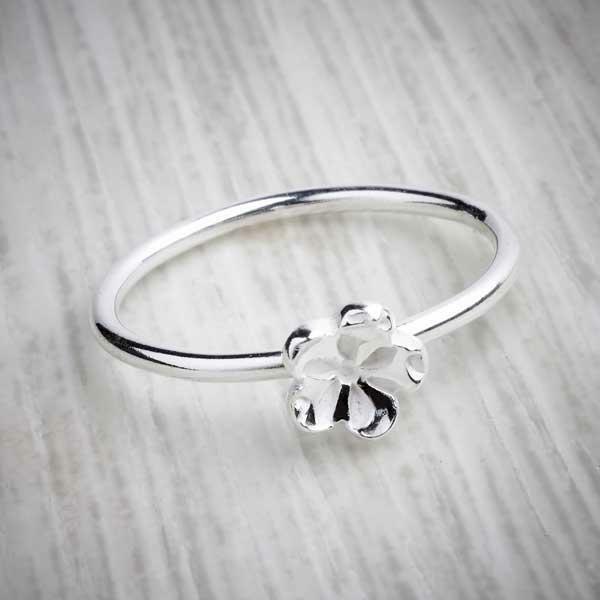 Carefully shaped to represent the delicate petals found on lovely little daisies, this ring is elegant and classic. Wear it every day with your jeans or wear it with your party frock; the timeless design means it works for any occasion. Every ring is handmade at our studio so you’re guaranteed to get a truly unique ring. Each ring comes in a gift box so it’s ready for gifting straight away. 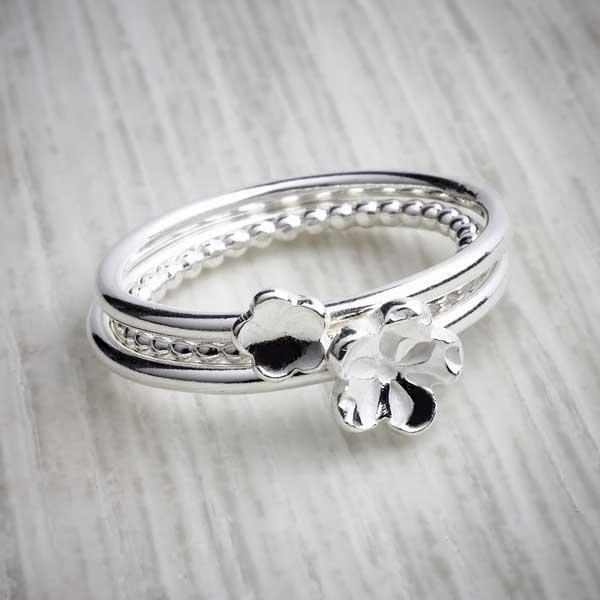 The flower charm is made from Precious Metal Clay (PMC) and the ring is made from sterling silver. 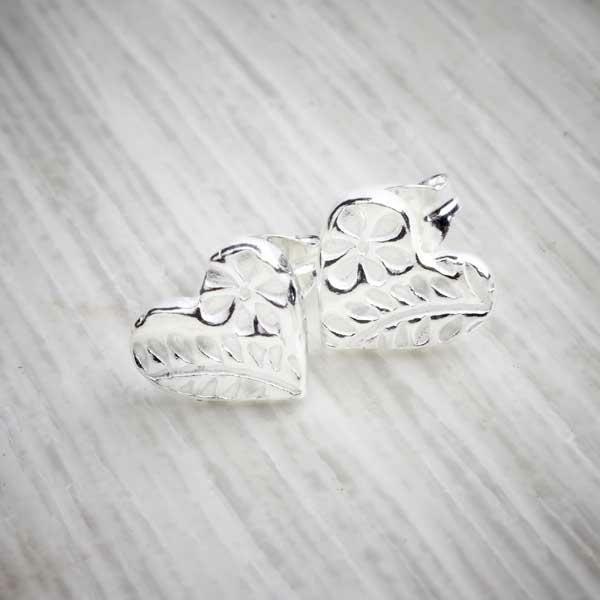 This bracelet arrives in a lovely gift box in a crisp white finish with our logo printed on top. It’s ready to either finish with a ribbon or give directly to the recipient.